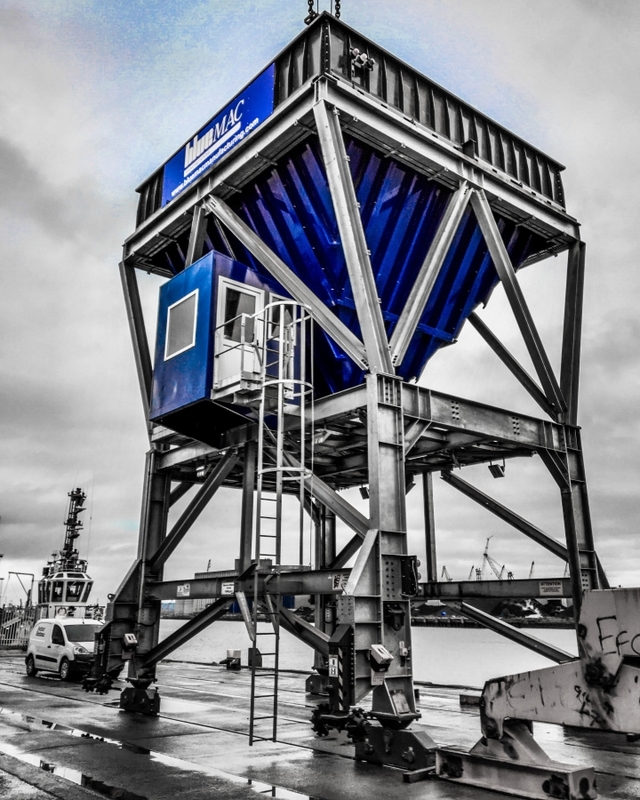 BlueMAC Hoppers can be designed to suit the bespoke requirements of any port operator, whether the desired option is static, wheeled or on rails. BlueMAC provides the complete solution with their state-of-the-art Hoppers. BlueMAC Hoppers can guarantee a much faster offload time and are built to exceed the highest standards of corrosion protection. More importantly BlueMAC Hoppers ensure maximum safety to all operators and operations, with their remote-controlled operation feature, that can also provide operators with video footage. BlueMAC support your operation throughout the entire project and beyond. From concept to delivery, BlueMAC’s focus is optimum engineering to maximise your operation whilst ensuring the best possible specification and designs are delivered. Ground level refuelling with auto cut-off. All work areas and ladders have lighting to comply with all safety lighting regulations. Grid and Hopper mounted vibrators to aid the flow of material whilst cleaning. Options for fully enclosed hydraulic powerpack in highly corrosive environment. Crabbing feature for rail mounted Hoppers. A single source for all design, manufacture and installation. Robustly engineered Hoppers designed to withstand thetoughest conditions.